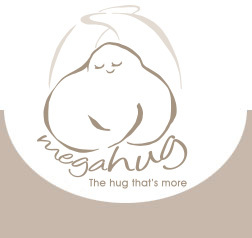 Look for the Mega-hug of your choice in our extensive range of fabrics, colours & designs, because each of our products was created in response to a need for a unique sort of hug. The Mega-hug Shoulder Wrap’s unique design allows it to be easily, yet elegantly tossed around the shoulders, where it stays in place without interfering with the lower arms whilst remaining easy to pull off when too warm. The cuddly coral fleece of the Mega-hug Fleece is made from the softest fluffy fibres that trap warmth, whilst allowing sufficient air circulation to give a sense of cosy lightness. An assortment of soft cotton and stretchy lycra knits allow the Mega-hug Lite to be worn in a variety of fun, yet elegant and stylish ways. An assortment of fleece, soft cotton & lycra knits or stretchy laces hug the neck to give warmth or style.